The Sprayberry Class of 1989 30-year reunion will be held on Saturday, June 15, 2019, from 7:00-11:00PM at the Elevation Chophouse. Join us for a fun night out as we celebrate 30 years as graduates of Sprayberry High School - doesn't seem possible, does it? Should make for an enjoyable night catching up with old classmates and friends, spouses and significant others, and hopefully a few former teachers. 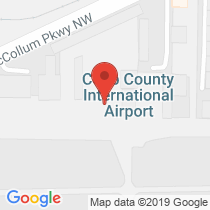 Heavy hors d'oeuvres, entertainment/dancing, and a cash bar will be onsite at this unique facility overlooking Cobb County International Aiport - McCollum Field. Each ticket includes one (1) "classic drink ticket" (redeemable for house red or white wine, beer from the house draft or any well drink), as well as food and entertainment. Tickets may be paid for via credit card, check, or cash. Prices will go up on May 31 - buy now! The recommended dress code for our reunion is "informal attire." Suggestions include - for women: a sundress, skirt and top or even pants (but no jeans), and no high heels required; for men: slacks or chinos (no jeans) and a shirt works great. Avoid sneakers and opt for oxfords or loafers. We have two (2) hotel blocks for the reunion weekend with special pricing. One with only King suites available; the other with both Double and King suites. Embassy Suites by Hilton (620 Chastain Road, Kennesaw, GA 30144) has a block of King suites available for our group at $152/night. Must book by midnight on May 26, 2019. All suites include two rooms (bedroom, separate living area) with full size sleeper sofa, cooked-to-order breakfast buffet, shuttle service within 5-mile radius of hotel from 7AM-10PM. Children 17 and under stay free. Paste the link below to reserve your room or call 1-800-EMBASSY and reference the Kennesaw property and SHS '89 Reunion Group or Group code CESS89. Curious to see which classmates have already purchased a ticket? Click on the "Classmate Profile" link in the menu on the left and you can select an option to see who has signed up for the reunion. Guest/spouse names will not appear. The committee is open to planning other activities over the weekend - let us know if there is something you'd like to do. Email us at 89shsreunion@gmail.com.